Ibis Obeida Guzman Colindres was supposed to see her son again in three days. That’s what she said she was told when a federal official took the 5-year-old away at an immigration facility in Texas. They would be reunited after Guzman Colindres went to court. “He was crying and crying,” she recalled, speaking in Spanish by phone from the Federal Detention Center in SeaTac, where she is being held. Three days came and went, and then weeks more. She said she never went to court, nor heard anything more about being reunited with her son. “It’s been a month and I haven’t heard my son’s voice,” she said. Guzman Colindres is one of roughly 200 immigrants recently transferred by U.S. Immigration and Customs Enforcement (ICE) to the SeaTac prison. 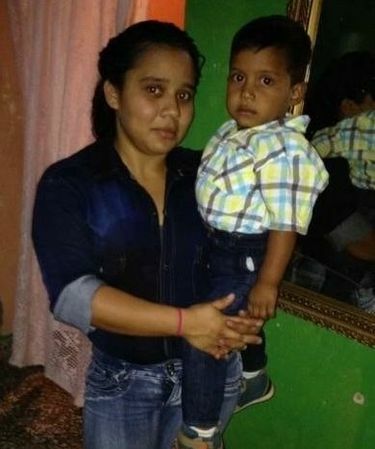 Some, like Guzman Colindres, a 25-year-old from Honduras who tried to cross the border in mid-May, are parents who were separated from their children after crossing the border — a practice that has generated fierce controversy and congressional bills, including one announced by Republicans Thursday, that would stop it from happening. 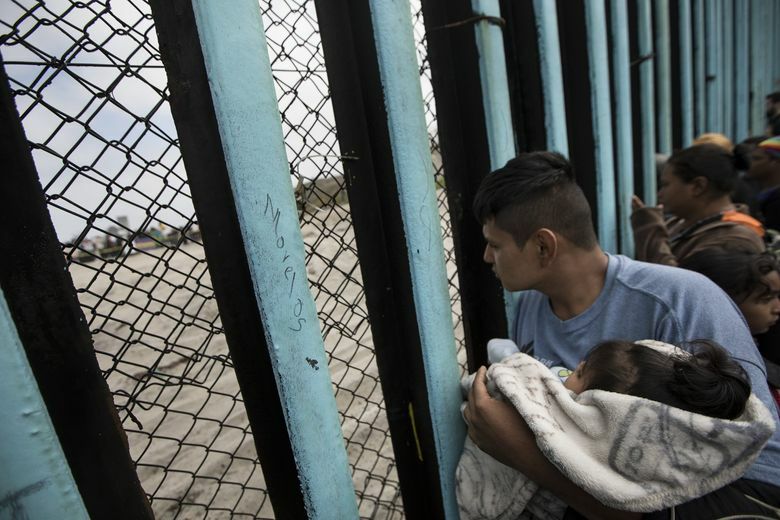 The Trump administration has said it is separating families as part of a “zero tolerance policy” that involves criminally prosecuting all those who cross the border illegally. Guzman Colindres said she left Honduras in early May, a day after two men came to her house and said they wanted it for their own. They made threats. Living alone with her son, she was scared. “I decided to come for my son’s life,” she said. Long ago, her mother had come to the U.S., leaving Guzman Colindres with her grandmother. The mother now lives in California with Guzman Colindres’ half-sister, Yesenia Castillo-Colindres, who was born in this country. Guzman Colindres planned to live with her mother and sister. After she crossed the border, she was taken with her son to a cell so cold that she and others, she said, refer to it as “the freezer.” They were there for an hour before they were separated — their first time apart, she said. She has been given a phone number for the San Antonio facility where her son is being held. But she says she has not been able to get through to anyone. Her son has been able to call her sister. By phone from California, Castillo-Colindres said she hears from the boy at least twice a week. “He seems to be OK,” she said, although he asks about his mom. “We tell him she says hi. She loves him,” Castillo-Colindres said. He goes to school in the facility and has been to a park. “Now, we’re trying to figure out how to get him to come to my house,” Castillo-Colindres said. The 22-year-old is applying to be his “sponsor,” and is awaiting a background check. When she will see her son again likely will depend in large part on what happens with her own case. She plans to apply for asylum, and a lawyer from the Northwest Immigrant Rights Project is representing her. The first step is probably an interview with an immigration official to determine whether she has a “credible fear” of persecution in Honduras. No date for that interview has yet been set, said the lawyer, Stephanie Martinez. Agnes Torres Al-Shibibi contributed to this story.